Introducing our Easter Backdoor Bakery 2019! Executive Pastry Chef Jacoby Dinges has prepared elegant holiday treats, reminiscent of traditional Easter pastries, with a unique Wilton House twist. To place your order, please fill out the form below, and our management team will reach out to you via the telephone number provided within 2-3 business days to handle payment. Meet Jacoby by reading his bio below. Strawberry Marshmallow Knots - Homemade marshmallow infused with fresh strawberries for a light and airy sweetness. Thank you for your order! A member of our management team to contact you within 2-3 business days for payment information. A local of the Valley, Jacob Dinges had humble beginnings with a degree in Culinary Arts from our local vocational school, Tripplet Tech. Shortly after graduating, Jacoby attended the Culinary Institute of America to hone his skills in pastry baking and service management. Shortly thereafter, Jacoby took his talent abroad to Saarbrücken, Germany where he worked constructing intricate dishes for a three Michelin star restaurant, Gästehaus Klaus Erfort. 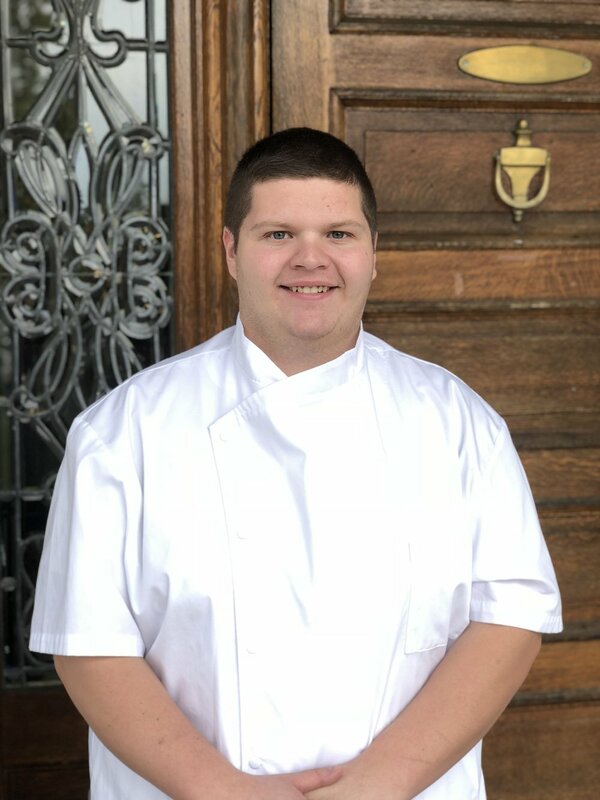 After enjoying his time abroad, Jacoby returned to the Valley and worked as the lead Pastry Chef for Bella Gelato, before coming to the Joshua Wilton House in October of 2018. We are delighted to have Jacoby join our team; his desserts express an elegance and refinement worthy of such a historic and influential home.